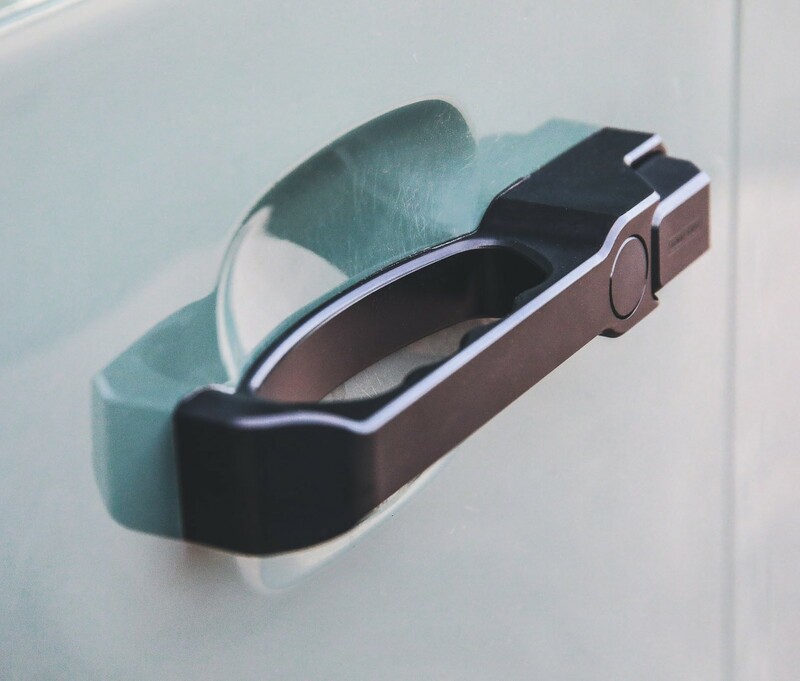 Transform your Land Rover door with these premium door handles which are CNC machined from billet aluminium and finished with durable, satin black anodising. They are a direct replacement for the standard Defender door handle. A quality upgrade offering a unique, elegant style and robust feel. 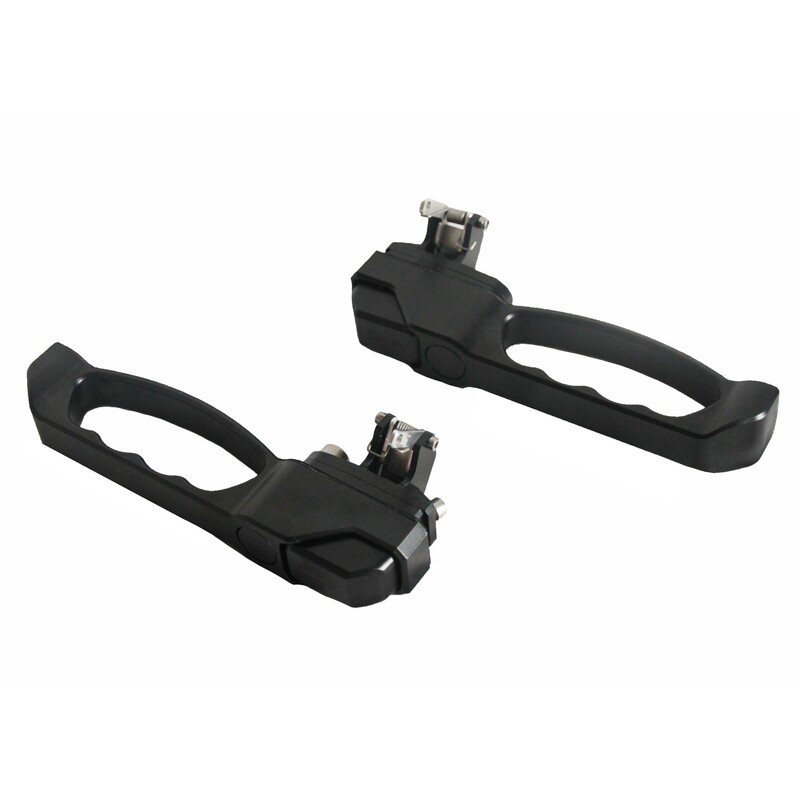 Designed to work with the long, ignition key style lock barrels. Blanking plugs proved for vehicles with central locking. Suitable for 90 and 110 vehicles (for 110 order 2 sets). Suitable for left hand and right hand drive vehicles. 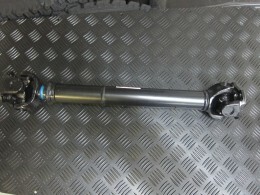 Hard anodised, satin black for maximum durability and corrosion resistance. Handles come supplied with new rubber door gasket. AVAILIABLE TO ORDER, 2-3 WEEK LEAD TIME AT PRESENT. 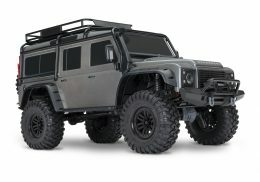 Categories: ACCESSORIES, Defender 90/110/130, SPECIAL OFFERS. Tags: defender door handles alluminium, exmoor trim. AVAILIABLE TO PRE ORDER, 2-3 WEEK LEAD TIME AT PRESENT.